Is that Swarb in this picture? Hi all. I'm not often on this train wreck but am happy to be here. This set is FABULOUS thus far!!! is this usually irene trudels show? it says that Nath Ann is filling in. Hi Nath Ann! Hi Jules and Nighthawks! Off to a great start! It also sounds like Monty Python: "Re-nay-sohnce"
Rundgren solo, or Rundgren Nazz?? WOW! Stone Poneys!! This is *serious* folk, a "different drum" from their usual only-played hit! sorry Julie, I got confused! Do you know if that is Dave Swarbrick in the Sandy Denny header pic? Also anyone who likes this music - there is a great book about this timeframe in England called "Electric Eden" by Rob Young. A wonderful read. Also the Sandy Denny bio by Mick Houghton - "I've Always Kept a Unicorn." I'm not sure, I think so? Thanks for the recs, Erma! @MfS - my pleasure! I'm kind of obsessed with the Thompson family so that was like secondary source material. Really engrossing though, what a time it must have been. P.S. I liked your "different drum" crack. And now Fairport Convention! Yay! Heh, thx Erma! :) The Stone Poneys get little airplay of their "other" songs, except sometimes their Pepsi jingle "Pepsi Pours It On". Good evening, dark souls of the night. I've amassed groceries for the next few days and now I'm ready to cool out for the duration. Awesome, thanks for confirming that, Jake! Swarb was a hottie back in the day. He is a hell of a fiddler. Anyone else get the feeling that Nath Ann has a copy of NOW That's What I Call British Folk-Rock? @eejit: I think he *created* Volumes 1 thru 29 of them! Hahahaha! I would buy that collection, @eejit! I love this Nick Drake bed music! thanks Erma you wee hottie u! Sandwiched it with "One Tin Soldier"! As the song dedicated to her asks: "Did she fall, or was she pushed?" and i'm gonna have a good look at it! Hi Erma! I have that feather hat with me! It's molting, but holding on! I have that in my setlist for later, Matt! Can't wait to catch up on archive. I've missed a ton. Hi. Awesome, Nath Ann! I've seen you a few times - with the Pixie Harlots and JVB among others. I didn't know you were such a folk fan! Wonderful, Erma! I mainly only walk around listening to dirges! Awww yeah, good choice Nath Ann! Related to the death by stairs, it's a good statement on destructive fame I've quoted for others too. Did they fall (from a weakness) or were they pushed (by the pressures of fame). So Erma, you were ALREADY a Nath Ann fan before this show??! Wow, suddenly I feel late to the party! Nath Ann, I have been guilty of walking around listening to dirges (or sea shanties, what?) myself! I am insanely jealous that you know LT. I want her to adopt me, she's wonderful! @Matt - I hate to be a pedant but it's did she JUMP or was she pushed? Here's the thing - I thought I was tuning in for the Best Show and then there was Sandy Denny playing and then there was Nath Ann and then I was all OH I CAN LISTEN TO THE BEST SHOW LATER. This is my jam! @Erma: Damn, you're right! I can remember this my own way at times. But I've quoted that for a while, it's prob burned in my mind for good! Midwinter: "These gentle troubadours, precursors of folk-rock band STONE ANGEL, almost formed by accident when, in 1972, guitarists Paul Corrick and Ken Saul got together to rehearse a gig for a Great Yarmouth folk club Christmas party. They asked singer Jill Child to join in and the three soon became a close-knit formation with a mutual love for all things folk." @Van: I learned about Mike Oldfield's old band w/ his sister, the Sallyangie from Irene's show. I thought that Midwinter was going to be them--astonished there's no Wiki page on them yet! greetings Julie; soul seekers; soul surgeons. Nick Drake, always and forever. I think I'm a bit behind because I'm listening on my phone but man I love him. "Fly" is probably in my top ten songs everrrrr. 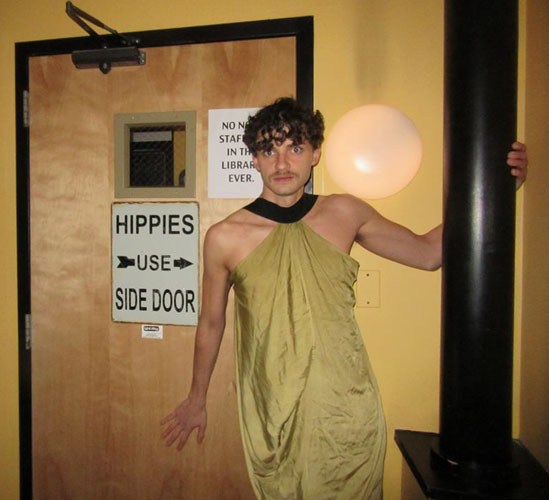 "This is the goth show on WFMU. Right?" Hi coelacanth! Fun to see so many other Hillians here! coelacanth, hi! Serious soul repair and expansion going on here. @Matt - yes, Sally & Mike Oldfield had a band in their teens. It wasn't very great... I think they had just the one album. Sally actually had a fantastic later album with "Water Bearer", and Michael had "Discovery" and "Crisis", both really good LPs. That's treasured to me as well. *Try* listening to that without getting misty. I include that recording as a tribute to John Cale as well, he arranged and played the wonderful cello and harpsichord parts. Oooh didn't know they had a later thing! And CS, good late evening! "Hello? This is the goth show on WFMU, right? Could you play...that song? By...um, those two chicks who were all red and black and white?" @Van: I liked Sally's parts on that, have to find out her later stuff. @Julie: You read our minds! :D Sounds great! I think it's funny that people who accuse Julie of playing only goth miss these great free form shows that she does. I love this! Heavy stuff!!! lol, Julie is probably the most eclectic DJ on FMU... or certainly in the running. In case Clay Pigeon is preoccupied, I'll mention that John Lennon died this day in 1980, thirty-five years ago already. Always remember. @Matt - challenge not accepted, because I CAN'T listen to it without tearing up! A perfect song. I didn't know John Cale did the strings. Fantastic. And re: Irwin in liner notes, that's not the first album, won't be the last! (He's also in Linda Perhacs' liner notes I know, along w/ our friend Irene!) But Irwin's really in so many. He OWNS those liner notes, he's a regular Clive Davis of them! Late getting here but it looks like I have a lot of catching up to do just for the first hour. No doubt I will learn a lot about music tonight just by tuning in. It's Julie ! I forgot. Ah, man. Still no heart symbol even after I contacted Ken about it a few days ago. E-mailed a photo of the cancelled check too. Back when I had a college radio show (it ended on Sunday, sob) Irwin used to listen and periodically tell me "Hey I wrote the liners notes for this!" She's always just a New York Tendaberry away. Welcome, RevRab. @Ken HP: Thanks for pointing out. Busy day, but I always like to pause and remember John. I mean, when you can honestly play a playlist like this, eclectic...? @Bronwyn Bishop How long did you do your show? Ken Thanks. i usually don't forget. @Van: Adding Bowie, Elton and Moody Blues, stretching out to Olivia and Cocteaus, REALLY stretching further to ABBA! Amazing how much ground Julie regularly covers, and in only 3 hours! @C.S. I did it for a little over three years. It began in November 2012 during my freshman year, and just ended because I'm going to Los Angeles for a semester and then graduating. I love this Jefferson Airplane bed music too! @Bronwyn, that's so cool. Congratulations, even though I know you must be bummed right now. @Matt - right on my man. @tonyb, I have long wondered how to pronounce that name; is it Jorma or Yorma? Bronwyn Bishop: Awesome. What did you play? And what about other off the walls like Glockabelle, etc? Love that stuff. @C.S. : It was called "Mixed Nuts". It started with a focus on outsider music, which is how I got to know Irwin, but it eventually just became a freeform show (on a college station that only has a few "specialty" shows in the midst of preprogrammed "indie pop"...) I always focused on weirdness, experimental stuff, rare records, etc., but I did a little of everything. @Bronwyn - I'm sure you'll find another DJ gig at some point. Let us know if you do. And enjoy your stay on the west coast. El Niño is on the way! @Ken: The goal is to be on FMU eventually...(shh, I didn't say that...) and thanks! @Bronwyn Bishop That's cool. Great that you stood out from the pack. I like freeform weirdness myself. Some of the things that Julie plays sometimes... just wow. Eye opening. It's like, "Who knew???" That, for me, goes into when she plays French recordings that I never knew of. @Bronwyn, that sounds like a really interesting show! I don't know where you are from or are in school - but I avoided LA for so many years because I assumed I would hate it and I actually think it's a really cool city. I just don't want to have a car (I live in NY and haven't had a car since my senior year of HS). @Bronwyn: Excellent, bring freeform to the world, any way you can! 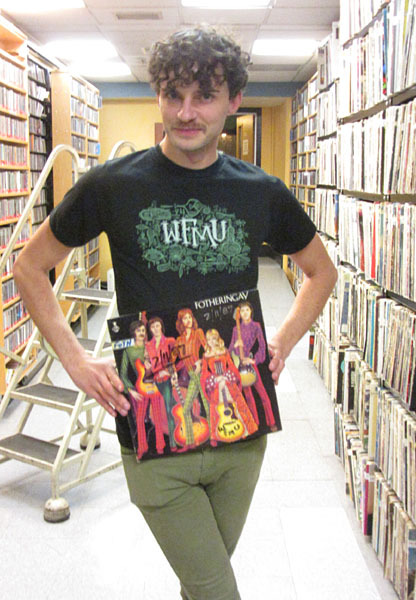 @Bronwyn: a quantum of solace: you can still listen to WFMU in LA. And post about your adventures. In the olden days, when you moved away you had to leave your local radio stations behind. It's like, for me, Brigitte Bardot sang WHAT???? @Bronwyn Bishop Any archives of your show? "Evil grows in the dark..."
@P-90: Irwin has said that before Internet streaming, people who moved away from the NYC area wrote touching "goodbye letters" to the station, when they had to leave it behind. Matt - I'm about to buy 3 tix for "Daughter" at 9:30 club for next April (before it sells out)... $25. Interested in joining us? Elena really is freaking amazing. @Erma: Yeah, I hate driving so that's why I don't want to get stuck there. I'm from Philly, go to Ithaca College, and want to live in NYC. @C.S. : There aren't any online archives, I have a couple mp3s but that's about it. That's so sad Matt :( I'm glad that's not the case anymore. This is a dumb question - but when is Julie's show normally on? I am fully digging this. An early Gordon Lightfoot song. Ian & Sylvia also recorded this! I don't have a regular slot at the moment, I turn up at random times. I used to be on at 3am. I'll be back this week on Friday though at 6am in for Micah web only. Yay! A Friday morning fill-in! @Julie - thanks for responding. I so love this ep and it sounds like you have very eclectic tastes that I will like. That's going to be a busy week for me. Anoushka Shankar, the virtuoso Sitar player (daughter of Ravi) plays here April 1st. Both artists, I think, Anoushka & Daughter, first time USA tours. @Van: Okay, so far so good I think. Nice Aphrodite's Child, kinda sounds like The Who when live! Ken from Hyde Park - Thanks for remembering. Kind of surprised I haven't heard more John Lennon today. Wow, Dusty's folk group w/ her brother! This one REALLY has an Everlys vibe to it! No problem, Matt. Still stinging over the loss of Scott Weiland. Man, if I could do one show on FMU, wow. I'd be playing some stuff that has never ever been imagined to be heard probably on this station. Yes, Fotheringay is mos def Sandy! 14 fill ins for Julie in 2015 and counting. We have been very lucky. Wow. GREAT ALBUM---> Fotheringay disbanded in January 1971, during sessions for a projected second album. Some of its songs surfaced on Denny's 1971 debut solo album, The North Star Grassman and the Ravens. @Van: Fotheringay did an amazing version of the standard "Gypsy Davey", on album and esp. live at the BBC. Someone here told me that announcer on that is Brian Matthew, who concludes with a great soundbite "Gypsy Davey - Fotheringay style!" In 2007, the BBC announced that Donahue would be attempting to complete the abandoned project (which he accomplished using previously unheard takes from the original archived tapes). Permission had finally been granted and the work was completed by summer of the following year. 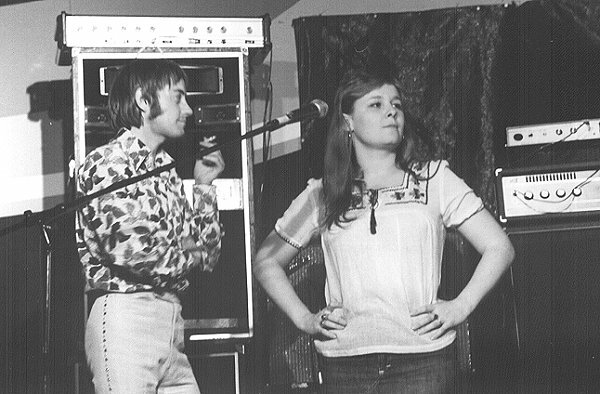 The resulting album, titled Fotheringay 2, was released by Fledg'ling Records on 29 September 2008. The North Star Grassman and the Ravens is a pretty good album. Sandy was still in good voice at the time. Love that Sweetwater. Read this in Wiki - "They were the act scheduled to open the Woodstock Festival in 1969; however, due to being stopped by the police on their way to the festival, solo folksinger Richie Havens became the first performer. Sweetwater performed next, becoming the first band to perform at the festival." Tuned in a tad late so forgive me if this was already discussed. Sounding great, Julie! Hi, Julie. Sounding great! I know Donovan & Stone Ponies from the olden days... enjoying all the music tonight here in SATX. 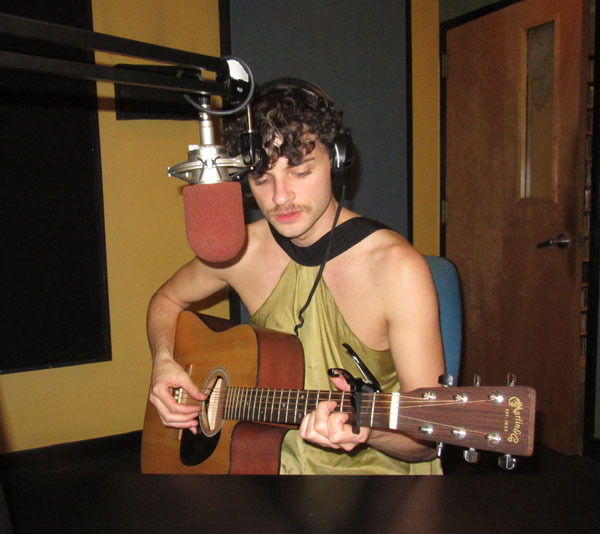 We have an DJ back at Salem State who does a psychedelia show called Kaleidoscope Moondrops Falling. The guy is a walking encyclopedia for the genre. First heard the Poppy Family there.. The North Star Grassman And The Ravens has some of my favorite songs, lyrics, and chords of hers as well! Jefferson Airplane and The Mamas & The Papas are a great combination! Denny Doherty. The pride of Halifax, Nova Scotia! Thanks, Cheryl! I love the early Stone Poneys! Evergreen Part One is one of my favorite Linda Ronstadt harmonies. Wow, this cover is rad! *Groovy* garage version of "Can't Buy Me Love"! lol Matt. I know what you mean. Jennifer Warnes is so underrated! Julie and Nath Ann, I don't know who curated this playlist or if you collaborated but it has all been brilliant tonight! Is this the same "Up Where We Belong" Jennifer Warnes? @Van - yes, I think she's mostly a songwriter but she has a great voice too! She has done some lovely Judy Collins covers IIRC. Thank you! We've been trading back-to-back sets all night! Really loved the show tonight! Thanks to both of you! Man, this is a great fill-in. Thanks Julie and Nath Ann! Tremendous taste you both have! Thanks Julie and Nath Ann! Thank you DL and rw! ooops, Leonard Cohen, not Judy Collins. Steve Perigrine Took. Love Tyrex™! Mustang Ford. I played your current bed music in my first ever episode of my dearly departed ex-show. What a show, and I missed the first hour. Nath Ann, you are new to me but I sure have enjoyed your selections, many thanks. And Julie, as always, you are such a most welcome show to listen to. Getting my thanks in early. Oh Syd Barrett. What a peculiar and misunderstood guy. This has been a great accompaniment to our Tuesday evening. Thanks Julie and Nath Ann! Well, you have permanently sold me. LT and RT. 1st Carpenters album! Title track is also amazing, such a sad take on the Beatles song. This track connects the gap btw the Carpenters and the baroque pop of the 60s! Excellent choice, glad I heard this! And speak of the Everlys..
IS THIS THE SANDY/LINDA VERSION? I die. Really love this version of "When Will I Be Loved?" RT and his son TT do some really beautiful Everly covers too. I try to go see Richard Thompson whenever he is in NY and Teddy plays out all the time. I love them so much. Nath Ann...singing L. Cohen's "STORY OF ISAAC"!!! YES! Oh I love Leonard Cohen so much, this is wonderful! Nath Ann on guitar as well...? This is Leonard's most direct, least obscure anti-war message. This is actually a pretty fantastic rendition. Nicely done! Space disco! Take off your shoes, and let's go to the genre-hop! She was so happy behind the drums..
Should be posted by tomorrow! Miss ya Julie, thanks much. Take care Matt. I know it's Sandy Denny and some dude in that photo at the top of the playlist but I'm imagining it's Julie and Nath Ann. Thanks again kids! Super show! really enjoyable, Julie and Nath Ann! Thanks! squeezing in one last one for Nath Ann! Been thoroughly enjoyable! Have a good night, everyone! By the way... Sandy Denny.... first song... "Dark the Night"....? Thank you so much everyone! It's been a joy hanging out and thrilled you liked it! Is this the goth show? Well, thanks for the fill-in, Julie. See ya Friday morning. Thanks again for playing all this great folk on a winter's night! In fact...this reminded me of an excellent, *legendary* episode of "winter folk" Joe McG played at this time of year, nearly 5 years ago! And hey, NOW you have pictures of Nath Ann up! Thanks for that linkie Matt. Wow, was that Julie a pre-FMU DJ one?